While most of us were watching the 91st Annual Academy Awards yesterday, many skipped the big ceremony and instead were focused on two things: Season 8 of Game of Thrones, per usual, and the newly-released footage from it. While clips from the upcoming season have been scarce, HBO certainly loves to tease us with any bits of footage they can release. This is exactly the case with their latest 2019 teaser, which showcases what viewers can expect from the network this year. Among a handful of promising new series in the video which debuted yesterday is of course a tiny preview for GoT as well. The brief footage shows the Unsullied arriving at Winterfell, while onlookers huddle together, seemingly terrified at what they see. At the forefront, however, is Arya Stark, who looks more amazed than anything else. Besides Thrones, we see clips in the lengthy teaser from the highly-anticipated series Watchmen, as well as Season 2 of Big Little Lies, the final season of Veep, and many more. While this year will see the end of arguably HBO’s most successful show, they’ll still have their hands full with the premieres of shows that honestly look awesome. 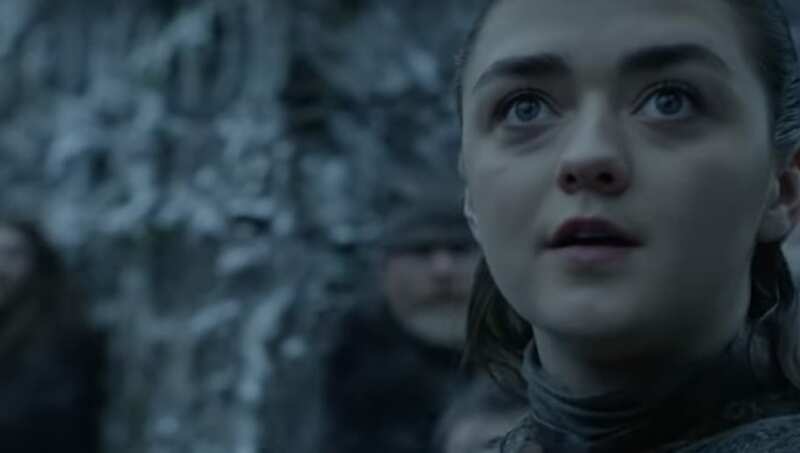 Game of Thrones returns for the final season on April 14. Any guesses as to when we’ll see a full-length trailer? With March around the corner, it likely has to be soon.